Well here we are folks – a quarter of the way through the first year of the second decade of the 21st century – and Niagara, Ontario has yet to launch an inter-municipal transit system for residents and visitors to this region. We ought to be ashamed to admit that we are the last region of any size in all of southern Ontario that is not operating a region-wide network of buses, at the very least, as an alternative to ever more roads and highways and trucks and cars. If I sound a little frustrated at this point, it is because I have been watching our local municipalities and regional government knock heads over the very concept of building a regional transit system going back to the dying days of my environmental beat at a St. Catharines daily newspaper more than a decade ago. It almost always came down to a parochialism that has often made it hard for local municipalities across this region to get together around services like transit and earlier on, waste management, until enough of our municipal leaders finally realized the economies of scale and environmental benefits of collecting and processing household wastes at the regional level. But the buses still have their wheels stuck in the mud on getting our act together on inter-municipal transit, even while other regions across this province (including ones that still have two tiers of municipal governance involving a regional level of government and local municipalities) are now mega-miles ahead of Niagara in building transit services for the 21st century. Take Waterloo Region, a region where there are also still two tiers of municipal governance, for example. Ten years ago, the lower municipalities finally did come to the conclusion that the regional government would be in the best position to coordinate a more all-encompassing transit service for all the region’s residents and visitors. This map shows routes for first stages of an inter-municipal transit system with gray arrows showing regional bus routes and green arrows showing Go Transit routes. The result, according to Waterloo’s transit director Eric Gillespie (who once managed the transit service in St. Catharines, by the way, is that ridership on transit buses has jumped more than 75 per cent from about nine million to well over 17 million since the year 2000, and the region is now well on its way to building a light rail system to compliment its bus services. Furthermore, the transit services in Waterloo are working as a “planning catalyst,” as Gillespie put it during a recent interview with Niagara At Large, for encouraging more urban development in and around the centres of existing urban centres, and away from what is left of the countryside. Yet still we have yet to see our regional government and 12 local municipalities get their collective heads together around this one and that is where you – the public – come in. On Wednesday, May 12 at 4 p.m., Niagara’s regional government has tentatively scheduled a public meeting of all regional councillors to consider proposals that will be placed on the table to finally get the first phases of an inter-municipal transit system launched. Will our mayors and regional councillors make the most of this forum to finally get us on the road to a healthier, more balanced transportation future? You can do your part by contacting your regional representatives and mayors, and letting them know how you feel. You can also leave your comments here at the end of this post. Niagara At Large is providing information below, obtained from the Niagara regional government’s websites, along with links that provides further information on transit plans for the region. Below that, we are also providing a list of mayors and regional councillors, along with links for contacting them via phone or email. Now is the time to let them know what you think on a service vital to our region’s future! The following information has been pulled from the regional government’s website at www.niagararegion.ca. If fully implemented, Inter-municipal transit will allow Niagara residents to travel between the 12 municipalities in an affordable, reliable way. These services will form an important part of Niagara’s transportation system. Inter-municipal transit services will connect Niagara residents with the surround municipalities, region and Greater Toronto Area. Questions and comments can be directed to Kumar Ranjan at 905-685-4225 ext. 3467. 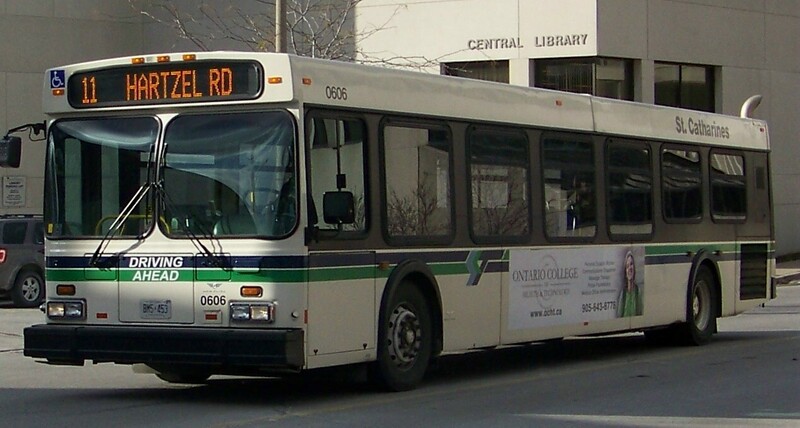 On April 14 and 15, 2010, public information centre meetings were held in Niagara’s communities it gather feedback on Inter-municipal transit. If you attended one of those meetings and were not able to provide feedback, you can access the Comment Form for Inter-Municipal Transit Work-Plan and submit it by fax or mail. Background information about the Region’s Scope and Vision for Intern-municipal transit is also available. Click on the links for the following Niagara regional councillors and mayors for contact information to express your views on this important transit issue.